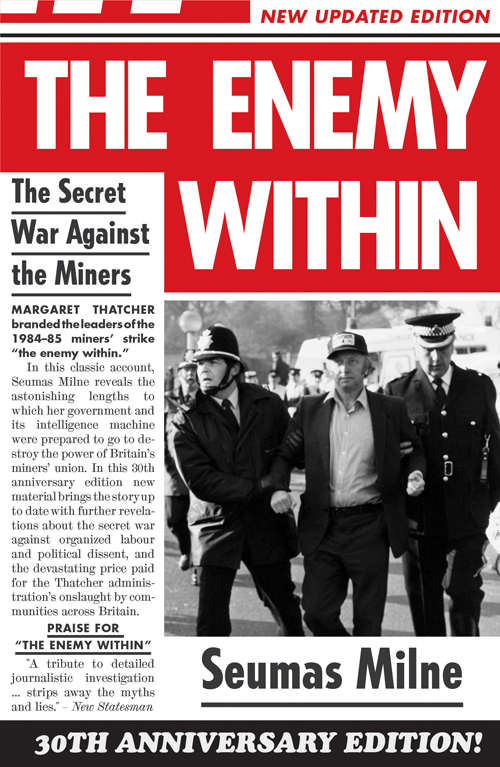 An updated edition of Seumas Milne's definitive The Enemy Within has been published by Verso to mark the 30th anniversary of the miners' strike. Seumas Milne and Dawn Foster have written articles in the Guardian reflecting on the anniversary through the lenses of trade unionism and women's activism. Seumas Milne writes on the reaction of mainstream media and politicians to the death of Bob Crow—his death came on the eve of the 30th anniversary of the start of the strike. Considering the vilification of trade unions, Milne ruminates on what was truly at stake back in the long year of 1984. 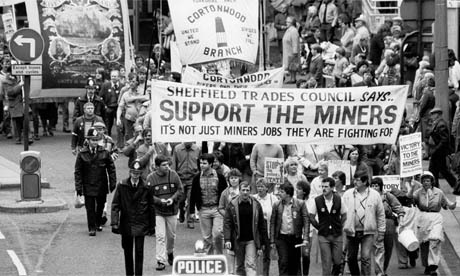 Milne argues that the battle waged by Thatcher on the miners and the unions was a key part of the all-out war she saw as necessary in order to usher in "the transformation of the economy in the interests of corporate privilege and wealth". The result was a reinforced system of deregulation and neoliberalism, which would implode so disastrously nearly 6 years ago. As Milne writes, even as 1984 fades further away, "the miners' stand has been vindicated by the experience of that failed model." Dawn Foster focuses on the role played by the women at heart of the strike, and how their activism sparked a profound change in their lives. She states that it was a natural and intrinsic part of Thatcher's philosophy and belief in "naked self-interest" to assume that the wives of the striking miners would eventually convince them to go back to work. She was wrong, and instead Women Against Pit Closures became swiftly and fiercely focused on protecting their communities. Foster tells the story of the large numbers of women who engaged in collective organizations throughout the period—and how that spirit of dynamism and sisterhood has been passed down to new generations of women fighting austerity. Visit the Guardian to read Seumas Milne's article and Dawn Foster's article.